Bought a new computer, decided to try out Ubuntu Linux. Here's my report of things i liked, things that worked, things I disliked, and things that didn't work. Single update manager! No more Java, Adobe, Windows etc updates. My experience with Mac (at least 10.4) wasn't much better. The Debian/Ubuntu update manager is extensible in the sense you can add random internet addresses for third-party or proprietary software updates if you so choose, and all updates appear together. With dependencies. Of course. I mean this is something Linux has got right for a long time, and Windows and Mac OS X haven't. Moving windows with "alt". Holding down "alt" allows you to just click on windows and move them around, I've totally got used to that, and am sad that Windows at work doesn't offer that. UI stays responsive even in the face of slow disk activity (this was definitely not the case with XP64, where one app would slowly stop responding after another, until they all came back to life once the external HD had spun up, although that could have been some aspect of my broken computer of course..) My experience with Mac hasn't been much better. File Locking. Never again "This action can't be completed because the file is open". This is one of my most major problems with Windows. Happens nearly every time you want to delete something, the only solution, often, is a reboot. Windows screen update bug gone. I've often had the experience that Windows doesn't update the screen correctly (e.g. torrent program, behind Chrome, just paints a progress bar in the middle of the Chrome window, i.e. something doesn't realize that progress bar isn't visible as the window isn't on top). But I never had this problem on a Mac. Menu system on Unity is ridiculous. 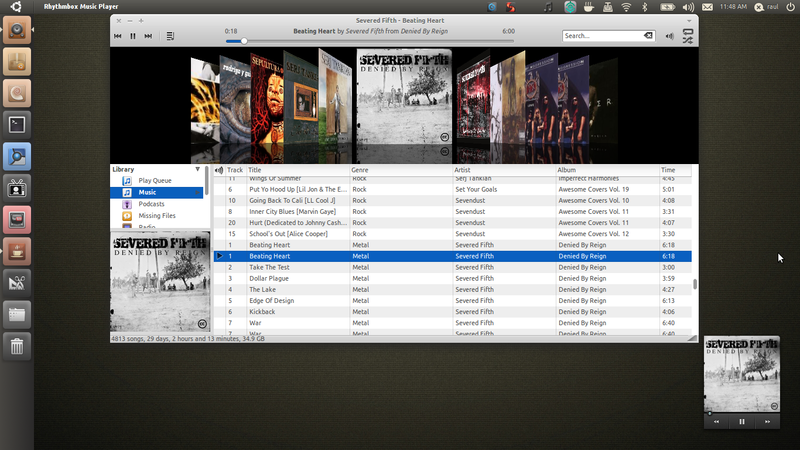 Menus are on the top of the screen like the Mac, but they're hidden! 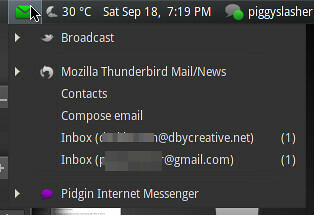 Unless you move the mouse to the top menu bar, menus don't appear, you've no way to know they're there. I searched for menus for quite some time (really!) Would you know where are the menus on this screen? Want to start a program on start-up? Rather than just right-clicking on the program in the program bar and saying "load on startup" (Mac, best) or moving it the start-up folder (Windows, also not bad), there is a facility buried deep in some menu where you can just type in command-line actions to be executed upon start-up. TortoiseSVN on Windows is, in my opinion, the best interface to any version control system ever. Integrates with the system's file manager (isn't an app which needlessly has its own file manager.) Right click using your normal file interface, "Update" or "Commit", no complexity, just works. It suggests getting music etc from the "Ubuntu One Store", I mean it uses the fact you've chosen their OS in order to get you to pay for stuff, a strategy reminiscent of a certain computer manufacturer named after a piece of fruit. But at least it's not the case that one paid for the OS which they then use to get you to pay for stuff. 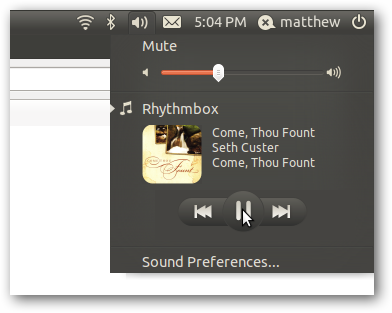 I like the "minimize all" or "show desktop" Windows-M feature, haven't found any equivalent on Ubuntu yet. I have a PCI WLAN card in the PC, that just worked. Can read/write my NTFS disks without any problem. Chome. The most surprising thing, perhaps, is that Chrome doesn't really work well? Often parts of the screen are not updated, and if you type things into forms you often can't see what you're typing. So I have to use Firefox. Unpausing CD. Insert a music CD, it plays, but as soon as you press pause, it can't restart, it just doesn't do anything when you try. You have to eject/re-insert the CD. Annoyingly I've now transitioned myself into a state where I prefer some things about Ubuntu and some things about Windows, therefore neither Ubuntu nor Windows (nor Mac) appears to me to be the perfect operating system. Before I'd tried Ubuntu I was happy using Windows. Arguably this state transition was a mistake in terms of maximizing my operating system satisfaction.